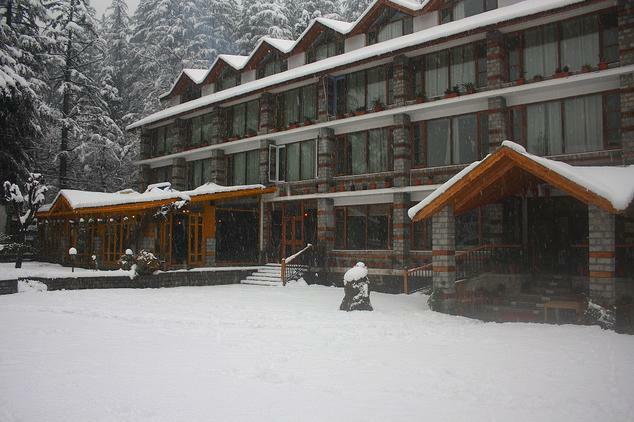 Hotel Johnson boasts of a fantastic location with snow-capped mountains and magnificent pine groves that is perfect for a retreat into nature. The hotel is about 50 km from the Bhuntar Airport while the bus station is barely 2 km away. 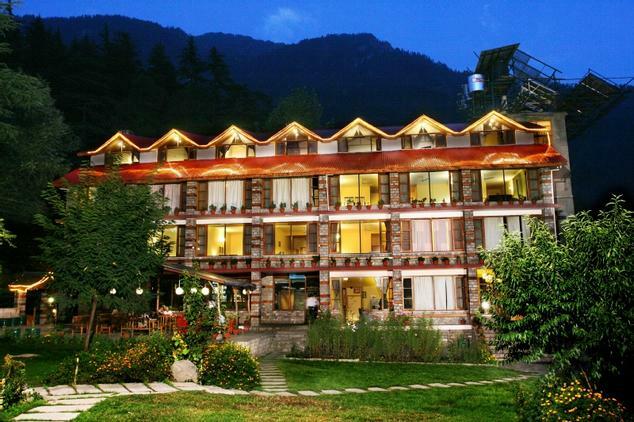 Once here, hire a guide or just wander off on your own to see some of the most beautiful places like the Solang Valley, Vashist Springs, Tibetan Monastery, Hidimba Devi Mandir, Nehru Kund and Rahalla Falls. The hotel is just at a few minutes’ distance from the main marketplace yet has a peaceful and serene atmosphere. The hotel offers numerous facilities and services to ensure a comfortable for the guests, such as doctor on call, travel desk, laundry services, pool table, car parking and 24 hour front desk. 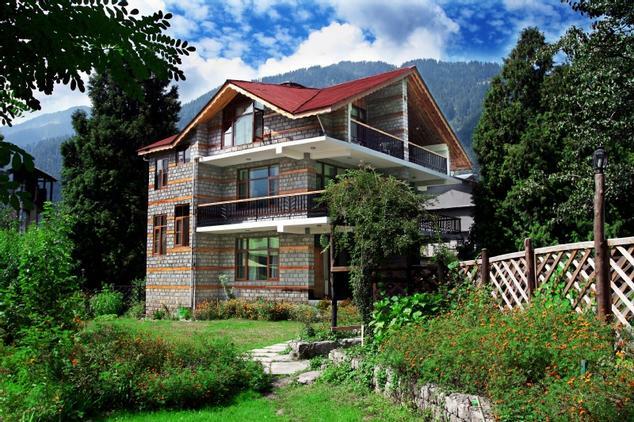 The hotel facilitates recreational activities on request like sightseeing trips, paragliding, jeep safari, camping, river rafting, trekking and skiing. Guests can relax and unwind in the hotel’s spa – Spa Magnolia - by indulging in soothing massages and therapies. The spa also includes Ayurvedic therapies, Jacuzzi and steam baths. 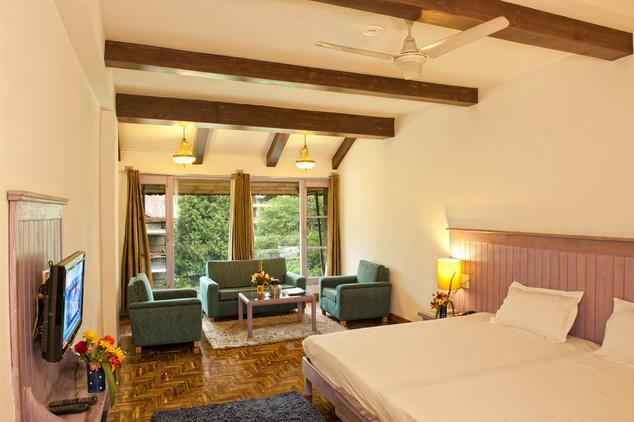 The rooms are spacious and offer spectacular views of the awe-inspiring mountains that surround the region. All the rooms are well equipped with modern amenities and conveniences such as satellite TV, free Wi-Fi internet access, electric tea kettle, room heater, intercom facility on phone, in room safety deposit boxes and attached bathrooms with running hot and cold water, shower and bath accessories. 24 hour room service is provided. The cottages comprise of two bedrooms, a dining room, a fireplace and a kitchen. 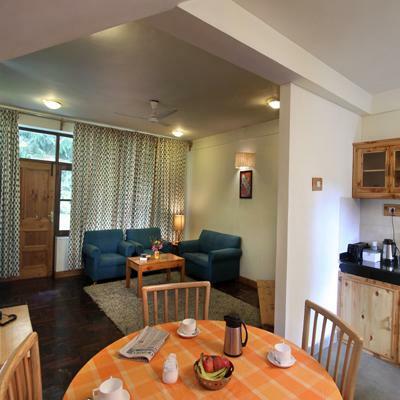 Exuding with warmth and comfort, the cottages are beautifully furnished with elegant fittings and all the necessary conveniences. The state-of-the-art facilities offered include cable TV, electric kettle, in room safety deposit lockers, telephone with intercom facility, free Wi-Fi internet connection, room heater and round the clock room service. The private bathrooms have modern fittings and are well appointed with shower, bath essentials and running hot and cold water. The multi cuisine restaurant has a nice ambience for a fine dining option with family and friends. The menu features delectable Indian, Continental and Italian cuisines that are specially prepared by / in the guidance of our expert Italian chef. 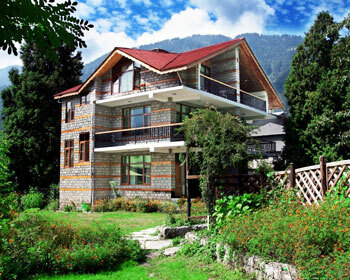 Once here, do try the traditional Kullu cuisine and the fresh trout dishes that the restaurant is famous for. 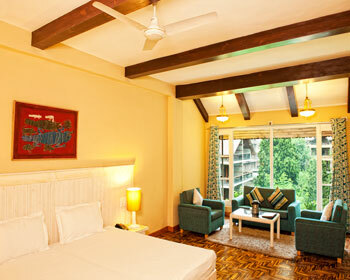 The ambience is cozy and radiant while the services are swift and efficient. Scrunch up in front of the fireplace during cold winters or enjoy a sunny afternoon lunch in the garden, the restaurant is perfect for all situations. The in house bar is well stocked with some of the finest wines and spirits. Relish exotic cocktails and amazing shooters and have a great evening with friends.